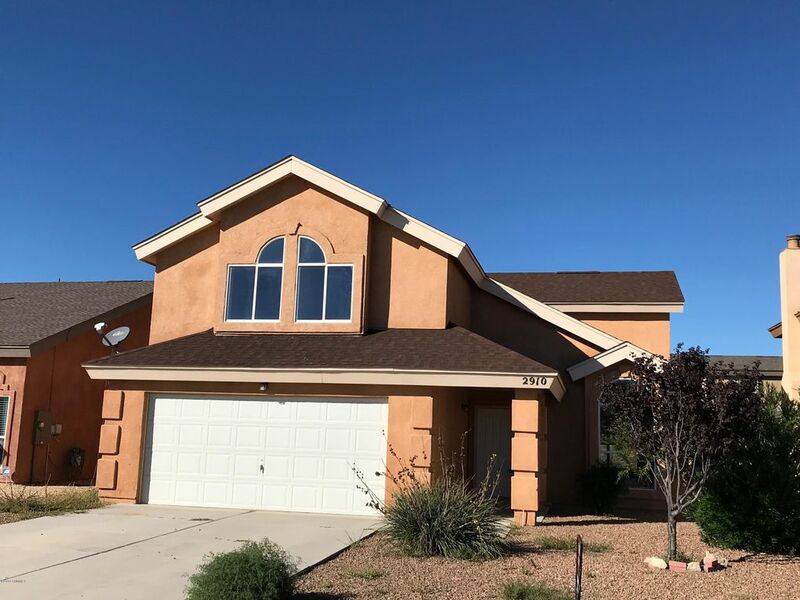 This spacious 4 bedroom, 2 1/2 bath home now has all NEW carpet is move-in-ready. The home is cheerful and features vaulted ceilings, fresh paint, and lots of natural light. You will love this floor plan with its beautiful living and great big family rooms. The kitchen features plenty of counters, nice cabinetry, breakfast bar, and a large pantry. The dining room is just made for entertaining or could even be an optional home office / flex area. The attractive pretty staircase leads to all 4 bedrooms on the upper level. The master bedroom has a big walk-in-closet and storage space. The master bath has dual vanities, a walk-in-shower, and a separate soaking tub. There is another spacious full bath upstairs and features a nice tiled tub and shower area. Includes central refrigerated air and efficient natural gas heat, a big laundry area, and a big fenced backyard for fun and play. All NEW roof 2016. Close to parks, grocery, medical, and shopping.